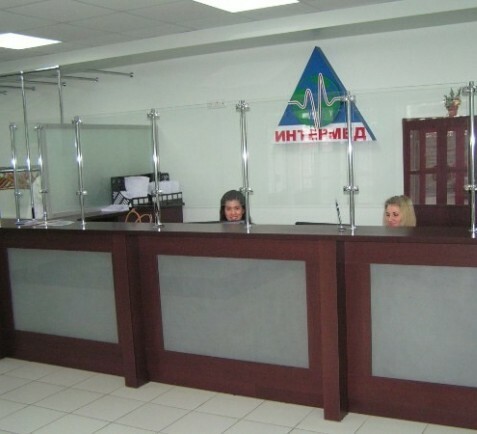 MEDICAL CENTER INTERMED - Clinic (Cardiology Center) in Kharkiv. The medical center belongs to modern clinics, where high-quality diagnostics is conducted, as well as consultations and treatment at the highest level of performance. The medical facility is equipped with the highest class equipment manufactured by Japanese, Italian, and German manufacturers. In addition, the reception of patients is carried out by highly qualified specialists, ready to take direct part in the process of treatment and recovery. The clinic provides an opportunity to undergo a comprehensive examination of the body, which will allow you to make a correct assessment of the state of your health. Laser medicine is presented in the center in various variants (in the form of coagulator, vaporizer, thermotherapy and hyperthermia). 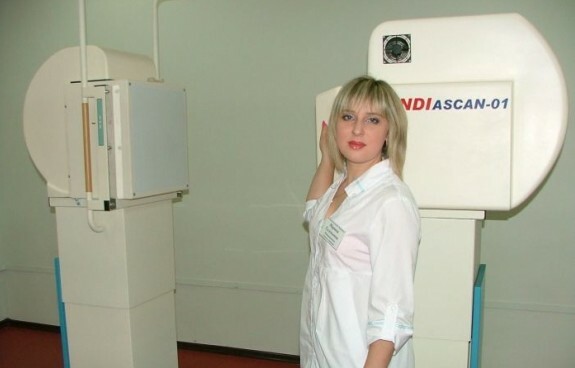 Ultrasound is performed to evaluate the condition of the soft tissues, pelvic organs and the abdominal cavity, the thyroid gland and the urinary system together with the kidneys. Dentistry – various types of stomatological manipulations are carried out, allowing to return a healthy smile. Fluorography is presented in the digital version and allows for the prevention of a number of serious diseases. Transportation of patients – a unique service for today and extremely necessary, because today many patients and their relatives difficult to cope with the task of transporting the patient to the examination. Day hospital – specially created for those patients who need to observe nursing staff during medical treatment, but at the same time can live at home. Laboratory – with the use of modern instruments and high-quality reagents a number of critical analyzes are carried out. Rehabilitation and massage – are carried out with the aim of improving the patient, improving his overall well-being and activating the hidden body reserves to fight the disease. Registration of medical certificates – is carried out taking into account the latest requirements, therefore sanitary books are issued a new model, also documents on weapons and driving. Endoscopy – held in the clinic several types of arthroscopy, hysteroscopy, colposcopy, gastroscopy and colonoscopy. Cardiologists in the medical center are occupied by a physician-therapist and cardiologist Svetlana Alekseyevna Dubova.Her participation involves medical and physiotherapeutic treatment, preventive maintenance of illnesses and, if necessary, rehabilitation is prescribed. Also, the doctor removes and decodes the ECG. st. Envera Akhsarova, 8. Opening hours: Mon-Sun from 10:00 to 20:00, without holidays. Tel . : (057) 773-30-04.